Gone are the days when SUVs were just spacious vehicles with a basic engine that just about did its job. 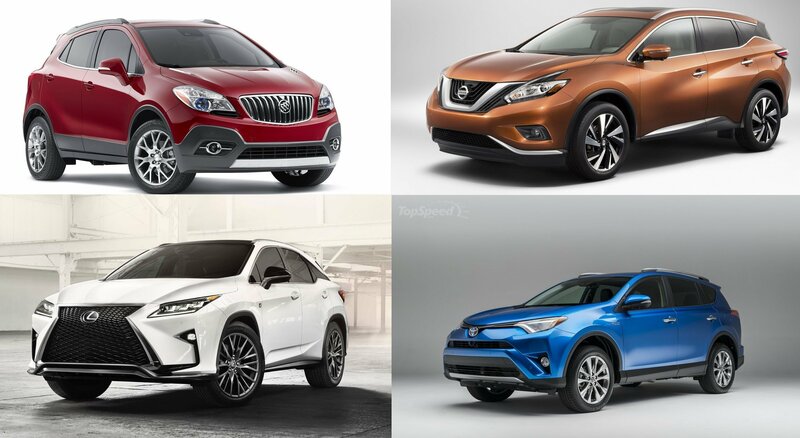 SUVs are now replacing sedans in almost all the aspects. The big vehicles are now refined, have better on-road driving manners, and come loaded with features and equipment. A lot of automakers have also been getting into performance SUVs lately. 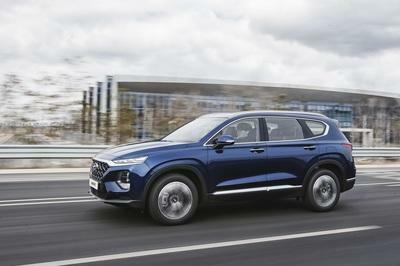 The latest entrant to that niche is Hyundai with its upcoming Tucson N. The Tucson N will hit the roads in about two years and will come on the back of 340 ponies. We saw loads of good stuff at the New York International Auto Show this year, including a variety of sultry luxury machines like the Cadillac CT6 V-Sport and Audi RS5 Sportback, not to mention the stunning new Essentia EV GT concept from Genesis. However, as is inevitable these days, we found plenty of less-than-desirable debuts as well, five of which we’ve listed here for your communal derision. Continue reading for the worst debuts from the 2018 New York International Auto Show. All kinds of new cars are debuting at the New York Auto Show and here sits the Hyundai Tucson looking like it did last year, without that impressive 1.6-liter engine or a DCT transmission. 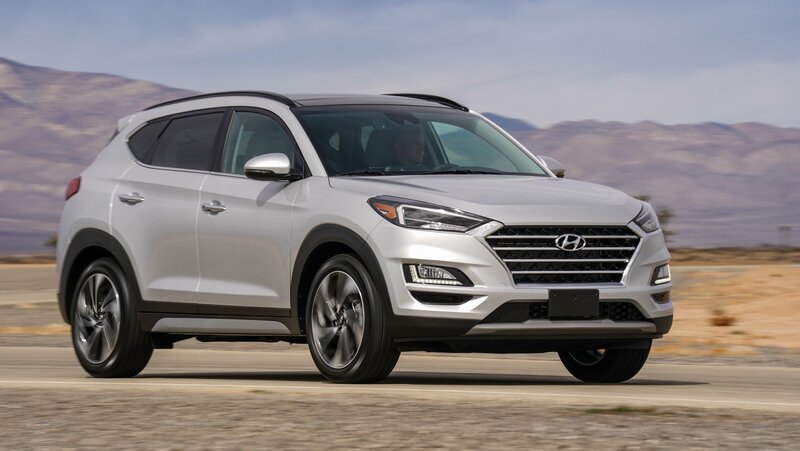 Little tweaks outside did leave time for some more refinement inside, but in terms of powertrain technology, Hyundai has definitely taken a step backward, a move that could put it in an unrecoverable position in its fight against models like the Ford Edge and Chevy Equinox. Hyundai did bring some redesigned wheels and now offers a second-row USB charger too. Is that enough to consider the 2019 Tucson as a new model? Yeah, probably not, but keep reading for the finer details. If you find yourselves in the Big Apple next week for the New York Auto Show, you’ll notice that Hyundai’s booth at the show will have a decidedly crossover and SUV feel to it. That’s the because the Korean automaker is preparing to showcase a number of crossovers and SUVs at the show. 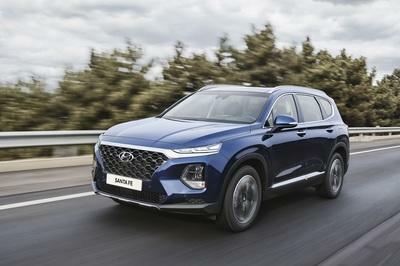 Among the models that have been confirmed include the new Santa Fe, a refreshed Tucson, and most importantly an electric version of the Kona crossover. 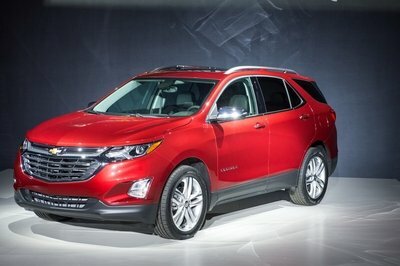 While it’s true that some of these models already made their world debuts at the Geneva Motor Show — the Santa Fe and the electric Kona, in particular — neither of them have been checked out by customers here in the U.S. They’ll get their chance to do that at the New York Auto Show in a week’s time. Both the Santa Fe and the Kona have something different to offer, too. 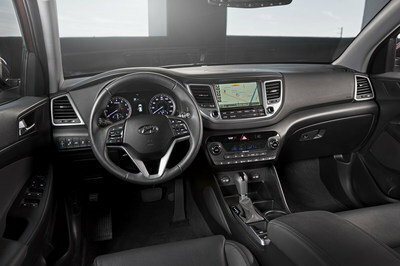 The five-passenger SUV takes the reigns from its predecessor, the Santa Fe Sport, and slots just below the Santa Fe XL. As it was shown in Geneva, the new model will be offered with a few engine options, including a 2.4-liter four-cylinder unit that has 185 horsepower on tap and a 2.0-liter turbocharged engine that can produce 232 horsepower. Hyundai is also offering a 2.2-liter turbodiesel unit that will be available exclusively on the XL version. The Kona EV, on the other hand, will get all of its power from an electric motor that produces 132 horsepower and 291 pound-feet of torque with a 39.2-kWh-battery that comes with an impressive range of 186 miles. 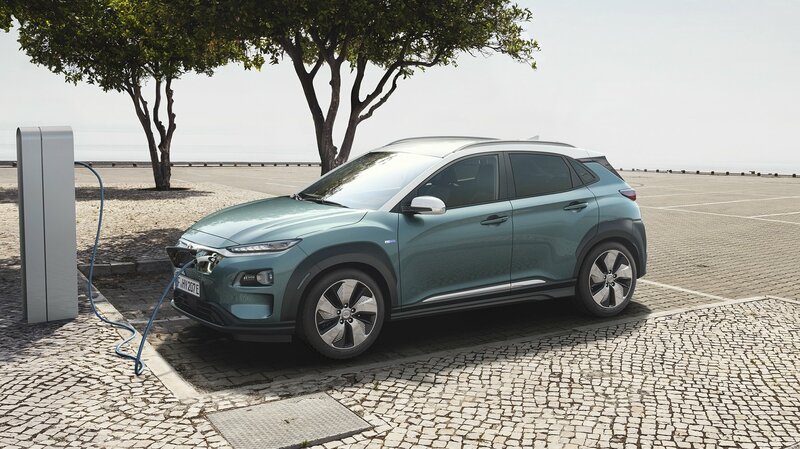 If that doesn’t suit your fancy, the Korean automaker is also offering a higher-spec version of the Kona with an electric motor that produces 201 horsepower and 291 pound-feet of torque with a 64 kWh battery that can run on a single charge for a distance of 292 miles. You might think that the Santa Fe and Kona are headed to New York as rehashed debutantes. That’s fair, considering where they were earlier this month. 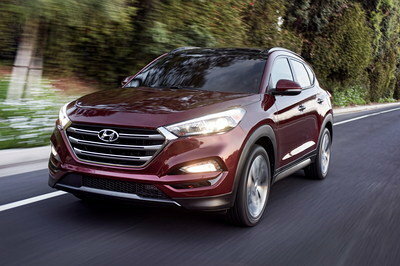 But, Hyundai is also throwing in a treat in the form a refreshed Tucson that will make its official debut in New York. 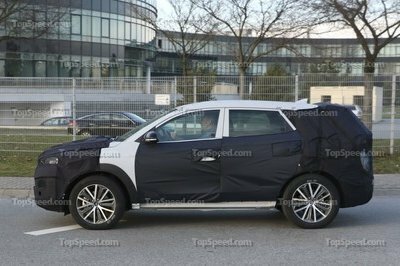 Not much is known about this model, but previous spy shots have hinted at a major design change compared to its predecessor. So as we count down to the days that lead up to the New York Auto Show, keep a keen eye on for Hyundai and all the crossovers and SUVs it’s bringing to the dance. Read our full review on the 2019 Hyundai Santa Fe. Read our full review on the 2019 Hyundai Kona EV. Hyundai is readying its first mid-cycle refresh for the third-generation Tucson crossover. Introduced for the 2015 model year, the two-row SUV has proven extremely lucrative for the South Korean automaker, with sales blasting northward like Elon Musk’s Falcon 9 rocket. Hyundai managed to sell 114,735 examples of the Tucson in 2017 – 2.4 times the number it sold in 2014. Slow claps. Yet; the current Tucson can’t be left to stagnate. Hyundai is wisely working on a refreshed version that is likely due for the 2019 model. If we’re lucky, we’ll see it debut sometime in 2018. 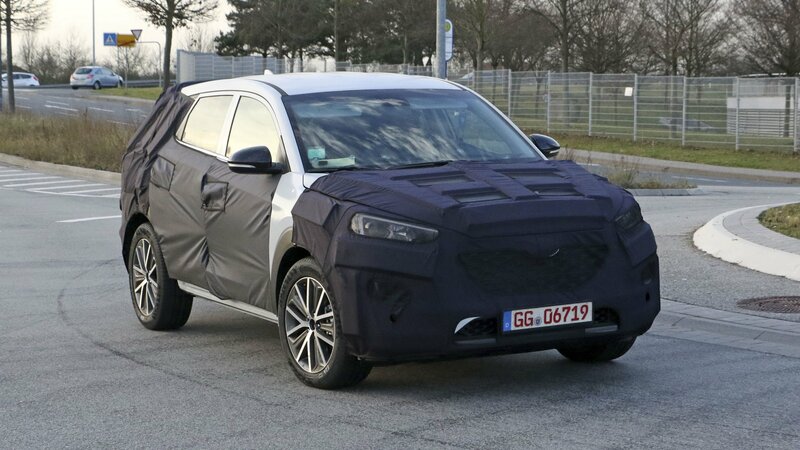 Our spy photographers captured a couple heavily camouflaged Tucson test mules running about in Germany. 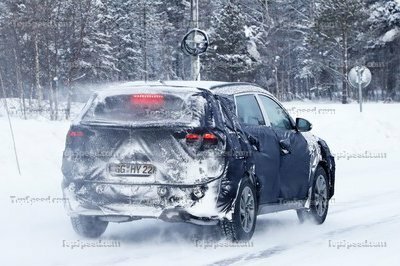 Both extreme winter testing and regular driving can be seen in the photos, showing just how much work automakers put into evaluating pre-production models. Continue reading for more on the upcoming Hyundai Tucson. At this point, it’s hard to say for sure what Hyundai has planned for exterior updates. 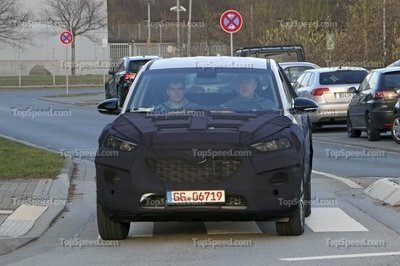 Yet through camo, we can see an updated mesh grille and reshaped lower fascia, both similar to other modern Hyundais like the new 2018 Elantra GT/i30 hatchback and 2018 Sonata sedan. We’re betting on a reshaped hood, too, considering the amount of camo seen in the photos. Around to the sides, the roof, windows, side mirrors, and upper beltline appear to be unchanged. Things might be different with the door handles and lower character lines, however, Hyundai has those covered fairly well. Out back, we can actually see some changes. The reflectors have moved from the bumper to midway up the tailgate – or at least we can see where they would go. Hyundai apparently didn’t have the plastic reflectors ready for the test mules. Updated taillights are also present. They look more intricate than before, likely thanks to them making the transition to LED bulbs. Note: 2017 Hyundai Tucson pictured here. Unfortunately, photos of the 2019 Tucson’s interior weren’t captured, so we don’t know what Hyundai has planned. Still, it’s not too hard to speculate. We’re betting on a higher-resolution 8.0-inch infotainment screen with a simplified array of buttons along the bottom. Design inspiration could easily come from the updated 2017 Elantra and 2018 Sonata sedans. Included in the new design is likely a reshaped dashboard that trails away from Hyundai’s previous swoopy design language. 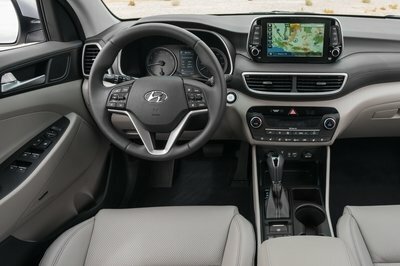 Count on the refreshed Tucson to have more technology, too, like active safety features and more smartphone connectivity. Of course, the Tucson will continue offering room for five people and their cargo. Currently, the Tucson offers 31 cubic feet of space behind the second row and 61.9 cubic feet with the 60/40-split bench folded flat. Hyundai could potentially increase these measurements by a slight wheelbase increase or reshaping of the cargo space. The Hyundai Tucson currently has two engine options. The SE, SEL, and SEL Plus trims come with a 2.0-liter four-cylinder making 164 horsepower and 151 pound-feet of torque. The upper trims, the Value and Limited, come with Hyundai’s impressive 1.6-liter turbocharged four-cylinder. With 175 horsepower and 195 pound-feet of torque, the smaller engine actually offers more power and better fuel economy. The 2.0-liter paired with the standard front-wheel drive is EPA-estimated to get 23 mpg city, 30 mpg highway, and 26 mpg combined. Moving to the 1.6-liter turbo bumps those numbers to 25,/30/27 in each category. AWD is optional with both engines. Fuel economy drops to 21/26/23 with the 2.0-liter and 24/28/25 with the 1.6-liter turbo. Part of the 1.6-liter turbo’s fuel-sipping secret is its seven-speed dual-clutch automatic transmission. It’s tuned for fuel savings and has an extra gear compared to the conventional six-speed automatic paired with the 2.0-liter. As the 2019 model rolls out, we can expect to see some slight changes to the drivetrain. Both engines will likely be recalibrated for slightly more fuel economy and power. The spy shots afford a good look under the refreshed Tucson’s rear bumper. It’s easy to see Hyundai is sticking with its independent multi-link rear suspension found on the current version. The rear suspension includes long lower control arms with a coil spring and outboard-mounted shock absorber. A trailing arm mounted to the subframe under the second-row floorboard extends to the upper part of the knuckle, locating it into place. Up front, MacPherson struts keep the wheels bouncing while upper and lower control arms locate the wheels. Naturally, it’s far too early to bet on exact pricing for the updated 2019 Tucson. That information won’t likely be available until a few weeks before it’s on-sale date sometime in mid- to late-2018. Still, it’s never too early to speculate. The current 2018 Tucson starts at $22,050. Five trim levels are offered, yet starting pricing doesn’t swing as wildly as you might expect. The range-topping Limited has an MSPR of $28,950. That means there is only $6,902 difference in price from the rental-grade SE to the leather-lined Limited. That’s impressive and speaks to Hyundai’s value proposition. We’d expect prices to rise by a few hundred on each trim level to compensate for inflation and to cover costs associated with the mid-cycle update. 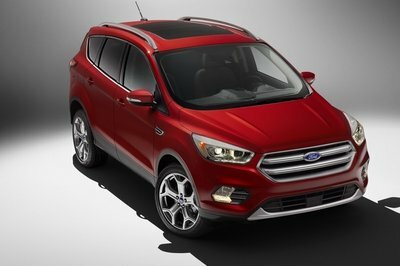 Ford’s compact crossover, the Escape, offers some respectable attributes in a highly competitive package. Sold by the truckloads (and at nearly three times the rate of the Tucson’s record year in 2017), the Escape comes with room for five, 67.8 cubic feet of maximum cargo volume, and three engines to choose from. The SYNC 3 Infotainment system boasts handy features like the new FordPass Wi-Fi connectivity, Apple CarPlay, Android Auto, and GPS navigation. The three available engines are the base 2.5-liter four-cylinder with 165 horsepower, the mid-level 1.5-liter EcoBoost four-cylinder with 179 horsepower, or the mightily 2.0-liter EcoBoost with an impressive 245 horsepower. Both EcoBoost engines come with Auto Start/Stop. 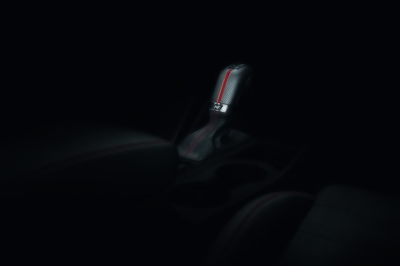 A six-speed automatic transmission is the standard gearbox regardless of engine choice. Pricing for the 2018 Ford Escape starts at $23,850 for the rental-grade S trim, $25,605 for the SE, $28,005 for the SEL, and $32,045 for the range-topping Titanium. The Chevy Equinox has been around a while, but for the 2017 model year, it underwent a complete transformation. Now riding on a new platform and powered by new engines, the Equinox offers more space for people, cargo, and technology. The 8.0-inch MyLink infotainment system offers all the conventional stuff like Apple CarPlay, Android Auto, and 4G LTE Wi-Fi connectivity. The Equinox also offers the widest range of engines in modern crossovers. The base is a 1.5-liter turbocharged four-cylinder making 170 horsepower, a 2.0-liter turbo-four making 252 horsepower, and a class-exclusive 1.6-liter turbodiesel making 137 horsepower and 240 pound-feet of torque. Both gasoline engines use GM’s new nine-speed automatic to power either the front or all four wheels, while the turbodiesel relies on a six-speed automatic to power the front wheels only. Fuel economy in the turbodiesel is extremely impressive, scoring an EPA-estimated 28 mpg city, 39 mpg highway, and 32 mpg combined. Pricing for the 2018 Equinox starts at $23,580. Several trim and engine combinations give customers plenty of choices to mix á la Carte if they so choose. Check every option box and the Equinox will top out in the low $40,000. Ouch! Read our full review on the 2018 Chevrolet Equinox. 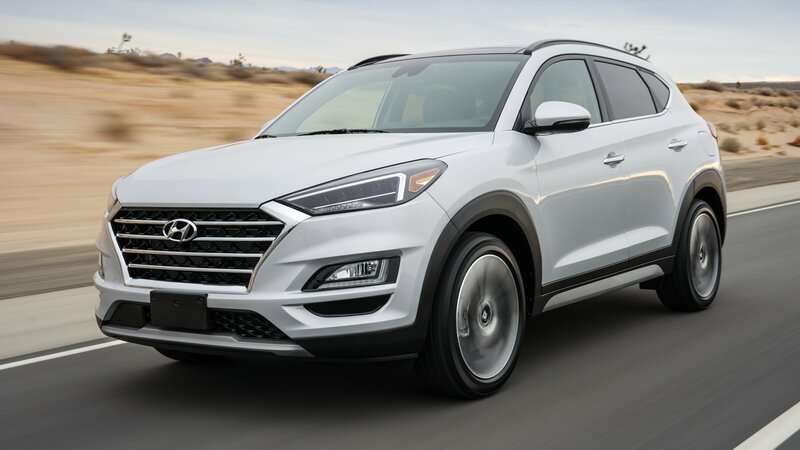 The Hyundai Tucson represents a great value for the money in terms of people-moving, fuel economy, warranty, and purchase price. Of course, Hyundai is obviously hoping to improve on that with the upcoming 2019 model. We’d bet on changes that center creature comforts, smartphone connectivity and changing, improved appeal, and increased power and efficiency. That will be a tall order, but Hyundai is already is a great starting place with the current Tucson. It’s not that old, anyway, having been released for the 2015 model year. A 2019 refresh would have the current iteration lasting for four years. Tack another four years onto 2019, and we can predict Hyundai will be introducing a new, fourth-generation Tucson in 2023. Read our full review on the 2017 Hyundai Tucson. First introduced in 2004, the Hyundai Tucson quickly became one of the company’s most popular vehicles. A more modern, second-generation model was launched in 2009, while the third-gen version was unveiled for the 2016 model year. This time around designed by Peter Schreyer, the Tucson adopted the company’s latest design language and a more upscale interior. 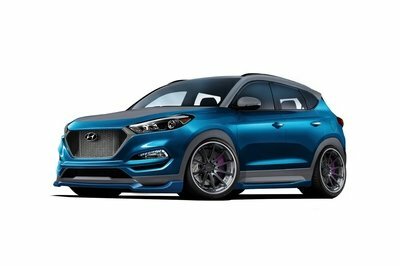 A favorite among many tuners for SEMA Show projects, the Tucson is set to return to the event in 2017 with a comprehensive upgrade developed by Hyundai and Vaccar. The already eye-catching crossover was overhauled inside and out for this project. Gifted with many race-inspired design elements, a custom paint job, a luxurious interior, and many drivetrain upgrades, the Vaccar Tucson Sport concept was conceived to demonstrate that the small crossover has great potential when it comes to performance upgrades. 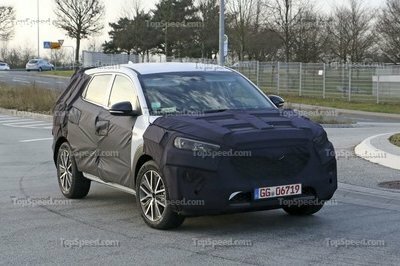 However, this doesn’t mean that Hyundai is planning a performance-oriented model, so don’t get your hopes up on seeing it in showrooms. As disappointing as it may sound, the Vaccar Sport concept is worthy of your attention as it can provide valuable hints if you’re looking to modify your Tucson in the future. Continue reading to learn more about the Hyundai Vaccar Tucson Sport Concept. The cool thing about modding a Hyundai Tucson is that you have a good base to work on. 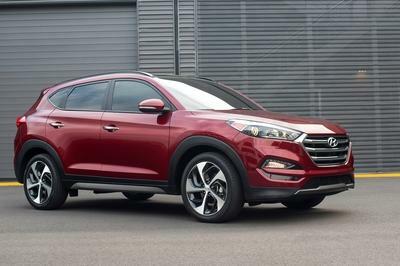 I don’t know about you, but to my eyes, the Tucson is one of the best looking crossovers on the market. It has an aggressive front fascia, muscular side panels, and a sleek roofline. And, Hyundai and Vaccar just managed to take that up a few notches and create a Tucson that could put any Porsche Macan out there to shame. 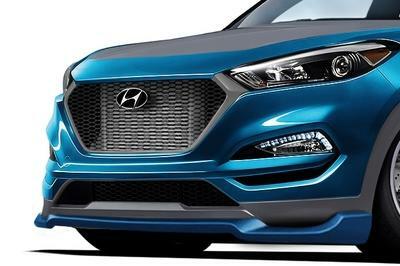 The front end is downright menacing to look at thanks to the new grille that ditched the horizontal bars for a fine honeycomb mesh. The Hyundai badge seems to float, while the visible radiator behind the mesh makes this Tucson look as if it’s about to swallow everything in its path. The lower bumper is actually very similar to the standard model, but the Vaccan spoiler lip further enhances the crossover’s sporty look. 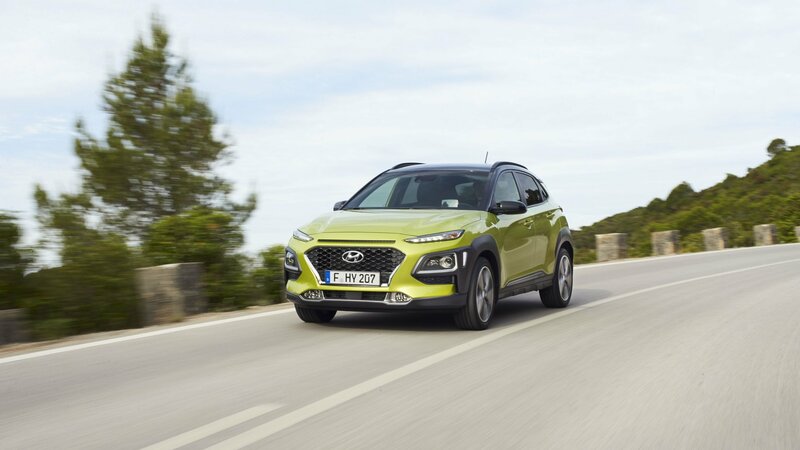 Moving onto the sides, most standard features remained unchanged, but the lowered ride height and the new side skirts give the Tucson a new, aggressive stance. Vaccar also ditched the regular wheels for a set of Concept One rollers. 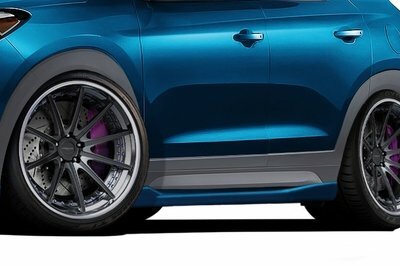 The 20-inch forged rims come in a thin, 10-spoke design with a two-tone finish and low profile, Continental Extreme Contact Sport tires. Around back, there’s a new diffuser to talk about, but the initial rendering doesn’t show the vehicle’s rear end. But it’s safe to assume that this Tucson sports a large aero element and bigger exhaust pipes. The show car is rounded off by a special paint livery from BASF. It combines a blue metallic hue for the lower body with a dark silver on the roof and most of the engine hood, as well as matching accents in the front grille and bumper, wheel arch extensions, side skirts, mirror caps, and rear bumper. Note: Standard Hyundai Tucson pictured here. While the exterior is decidedly more aggressive than a standard Tucson, the interior is focused on luxury rather than sportiness. The seats are wrapped in fine Ice Grey leather by Katzkin, but some surfaces are wrapped in Fog Suedezkin, which is Katzkin talk for grey suede. Blue stitching keeps everything together and adds a bit of contrast. The standard infotainment system was replaced by a Vaccar-made, Android-powered multimedia unit with a nine-inch screen. There’s also a WiFi head unit with AutoMeter Airdrive WiFi Boost, while the rear passengers get to enjoy the nine-inch Soundstream LCDs integrated into the front headrests. Moving over to the instrument cluster, Vaccar added a new dash-top triple gauge pod, as well as new oil and Wideband A/F gauges. There’s also DVD-MobileLink, while the soundtrack is provided by a 12-inch Picasso subwoofer and a Nano 520-watt, four-channel amplifier. Unfortunately, there are no photos of the interior yet so we can’t see any of these features. Drivetrain modifications are just as diverse, and by the looks of things, Vaccar didn’t retain too much of the standard unit. Interestingly enough, the press release doesn’t mention whether the concept uses the naturally aspirated, 2.0-liter or the turbocharged, 1.6-liter unit, but judging by the upgrade list, Vaccar went with the latter. The standard turbo was ditched and a beefed-up Boostec unit with an R50 blow-off valve was strapped to the four-cylinder mill. The air intake system comes from AEM and including a charge pipe kit. The SUV also features a Mishimoto G-Line intercooler, VMS Racing baffled oil-catch tank, can, and fender washers, and Vaccar-developed front-mount piping and cat-back exhaust. The builder also fitted Magnaflow Performance mufflers and stainless kit, and XS Power D Series 3400 Battery, and uses AMSOIL Signature Series synthetic oil and filter. What does it all mean in terms of output and performance? Unfortunately, we don’t know because Vaccar has yet to release any information. But rest assured that the 1.6-liter four-pot now cranks out more than the standard 175 horsepower and 195 pound-feet of torque. If I were to take a guess, I’d say that output has increased to at least 300 horses and 320 pound-feet. And Vaccar says that performance gains have been obtain without sacrificing reliability. Upgrades continue in the chassis with a Vaccar brake kit for both axles, a VMS Racing forged lugnuts, and Vaccar-Gecko G-Street coilovers. So the concept isn’t just faster, but it should be able to handle some track racing too. Stunning is the best way to describe the Vaccar Tucson Sport concept, at least as far as looks go. I can’t say the same about the interior and the drivetrain since there aren’t any photos and proper information, but if the styling is any indication, this concept should be a solid piece of work in just about any department. This vehicle will probably remain just a concept, but its exterior design would make for a great performance-oriented version of the Tucson. And why not, maybe even inspire an upcoming Genesis crossover. 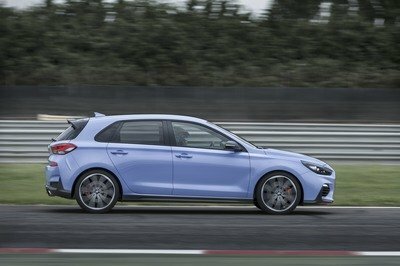 The introduction of the Hyundai i30 N spells the start of the Korean automaker’s venture into the world of performance vehicles. 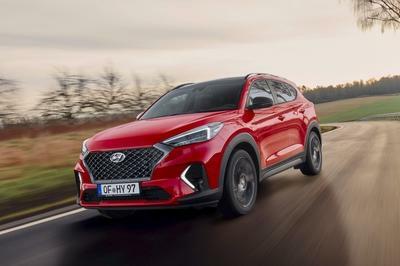 Now that the hot hatch is in the fold, the process of building up the whole division begins, and two Hyundai models have been green-lit to help fill up the ranks: the Tucson and the Kona. 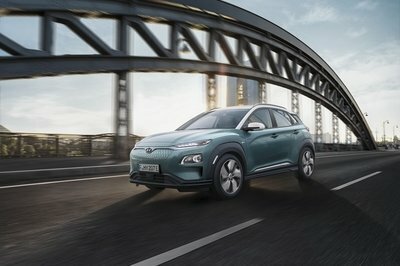 The real development here is the inclusion of the Kona N since we’ve already heard from no less than N performance division boss Albert Biermann about the fate of the Tucson N.
Now, Hyundai Australia Senior Manager of Product Planning Andrew Tuitahi confirmed to Motoring that the Kona N is a “go” as well. 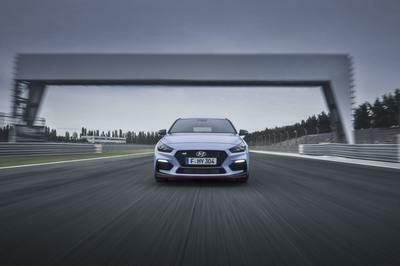 The bad news is that both models aren’t expected to arrive anytime soon since Hyundai’s priority for the N division seems to focus on building its foundation with performance hatchbacks, coupes, and sedans. Crossovers and SUVs will come later, and the expectation is that these models will be integral parts of the whole N experience. Once the division itself is up-and-running, the attention will inevitably turn on bringing both the Tucson N and the Kona N to life. How long that’s going to take is anybody’s guess at this point, but Tuatahi may have put it best when he referred to time timetable as a “slow burn.” The good news is that the status of both the Tucson N and the Kona N is a matter of “when” and not “if.” We’ll just have to wait for word on “when” is when going to be. I suppose it depends on who you’re going to ask. If you ask me, I’m fully onboard with seeing a Tucson N and a Kona N come to life. For one, it’s not out of the ordinary for crossovers and SUVs to get performance versions. Mercedes, BMW, and Audi have all done it and have had remarkable success because of it. 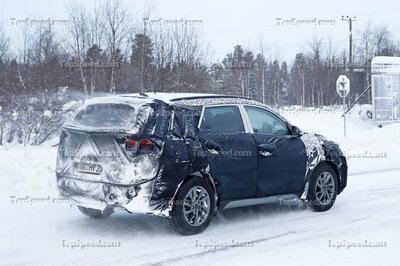 The key here is to understand what it is that Hyundai wants to showcase when it does decide to build a Tucson N and a Kona N. Does it want both models to compete against the established Europeans or does it want to introduce both models slowly before ratcheting up their performance levels in the coming years? Then there are questions on whether Hyundai can differentiate both performance models enough that they don’t step on each other’s toes. There’s a certain way to do it that the likes of Mercedes and BMW have been successful with, so it’s not like Hyundai is venturing into unchartered territory here. On that end, it’s easy to see why Hyundai decided to confirm N versions of the Tucson and Kona. 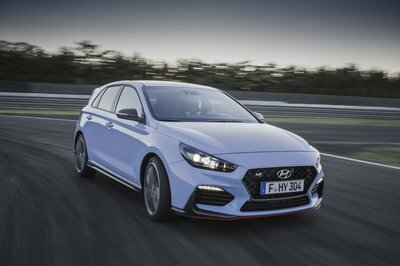 Now, all it has to do is make sure that when the time comes, and both models are revealed, they imbibe more of the N division’s premium and performance identities more than they do Hyundai’s. The Hyundai Tucson is probably one of the last cars anybody would associate with land speed records. But, the rules of the game change a little bit anytime hydrogen is involved. Such was the case when the Tucson Fuel Cell claimed the land speed record for a production hydrogen-powered SUV at the Soggy Dry Lake Bed in California. During one of its runs, the Tucson Fuel Cell clocked in a top speed of 94.6 mph to set the record. 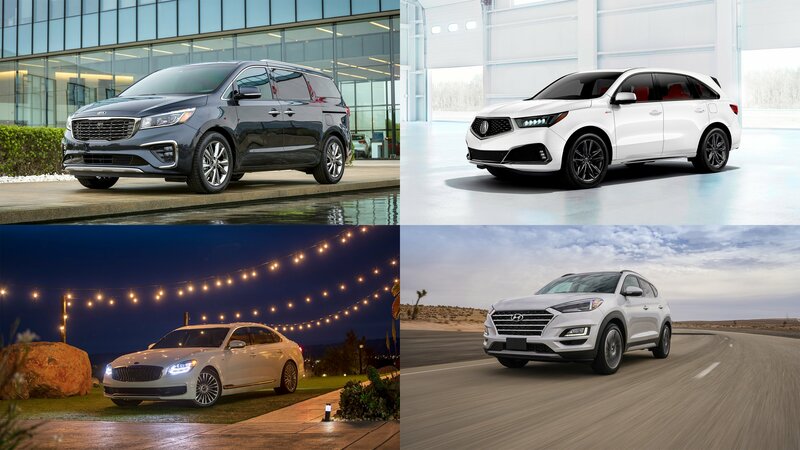 Considering that the number of eligible SUVs that can supplant this new record is relatively thin, the Tucson Fuel Cell could be holding on to its achievement for some time. 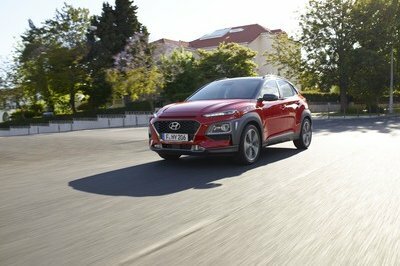 Regardless of its level of difficulty, a record is still a record and Hyundai, for its part, is all too happy to claim it as it gives the Tucson Fuel Cell another achievement to own for itself. But, the new land speed record wasn’t the only thing the Tucson Fuel Cell “owned” during its time at the Soggy Dry Lake Bed. 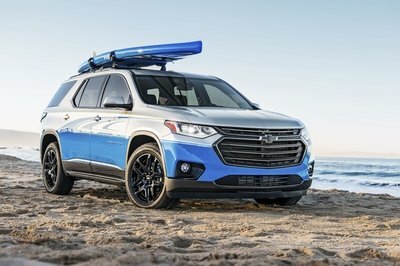 The fuel-cell SUV also showcased a handful of its capabilities, none more impressive than its ability to easily traverse the off-road terrain of the lake bed’s environment. These abilities certainly bode well for the Tucson Fuel Cell’s appeal, especially in a market like Southern California, which has the highest concentration of hydrogen refueling stations anywhere in the US. Hyundai already has a share in that market, thanks to the number of Tucson Fuel Cell models sold in that area. 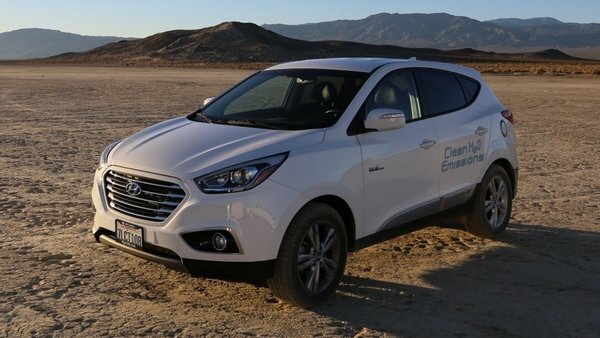 And, as Hyundai continues to tout the Tucson Fuel Cell’s capabilities, it’s appeal will likely increase to coincide with the state’s rapidly evolving hydrogen infrastructure. As far as timing is concerned, Hyundai couldn’t have picked a better time to set the land speed record for a production, hydrogen-powered SUV. Southern California tuner John Pangilinan revealed the first sketch of what he had in mind for Hyundai at the 2015 SEMA show. 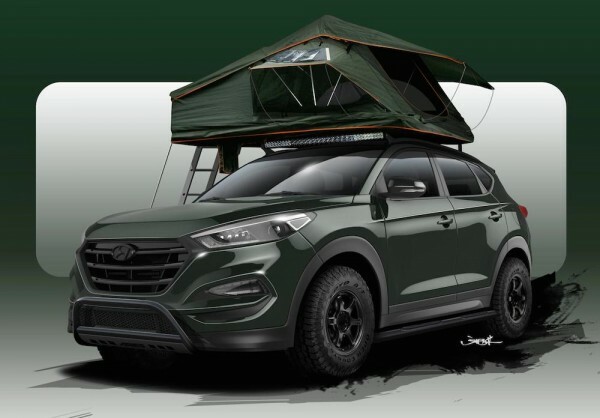 Dubbed the “Adventuremobile,” Pangilinan Hyundai Tucson is a heavily tricked-out crossover built to be the perfect outdoors machine. As such, Pangilinan Hyundai Tucson comes with a whole host of off-road gear, starting with the underbody which receives a custom lift kit for the suspension, Wilwood brakes, Rays Gram Lights 57DR Wheels, Toyo off road tires, and Project KICS Leggdura lugs and spacers. They complement the performance upgrades which include AEM Intake and charge pipe kit and a MagnfaFlow exhaust. The exterior design is what attracts most people to this vehicle what with the BASF Army Green paint, Aries bull bar and side steps, Thule 47-in. aeroblade and Podium foot pack, Goal Zero Nomad 20 Solar Panel, LED bars, and… Inside the cabin Pangilinan Hyundai Tucson features Katzkin Custom leather upholstery, Army Green seat belts, Truck Vault Storage, and Clarion audio system. But the biggest highlight of this car is a Treeline Tamarack roof-top tent, with ample room to sleep two campers. The solar panel mentioned before provides power for the campers accessories, although why would anyone want to spend a night on the roof of a Hyundai is something we don’t understand. 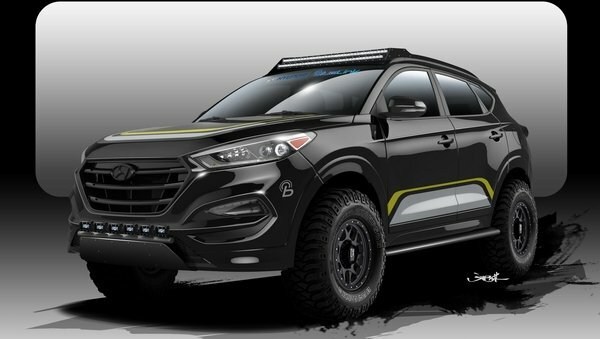 The post SEMA Preview: Pangilinan Hyundai Tucson appeared first on Motorward. This Hyundai Tucson has just received a radical transformation as it strays away its traditional looks in favor of an off-road custom concept look. Off-road specialist Rockstar Performance Garage (RPG) took on this particular challenge and the result certainly speaks for itself. The fully customized Tucson received extensive modifications on the exterior, interior, and engine. It’s par for the course for Rockstar Performance Garage, which has built some of the sickest off-road custom vehicles. Among the company’s best works include the Rockstar Bronco, Spyder Auto Toyota Tundra, and the Spyder Auto Jeep JK. The changes to the Tucson are evident. Some people might not even recognize the Tucson from all the modifications given to it by RPG. Making this program more impressive is the fact that this is actually the first time Hyundai has worked with RPG on a custom vehicle. As far as first times are concerned, I’d say the aftermarket company hit this one on the spot. Rockstar Performance Garage’s Hyundai Tucson will be showcased at the 2015 SEMA Auto Show, which starts on November 3, 2015. 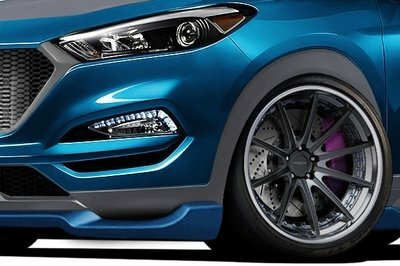 Continue reading to learn more about the Hyundai Tucson By Rockstar Performance Garage. 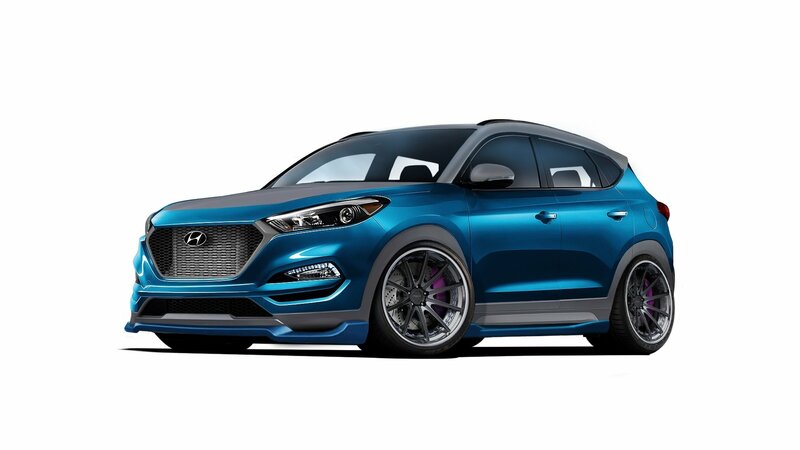 As you may know from our previous coverages, Hyundai is working with many different tuners for their SEMA lineup this year. 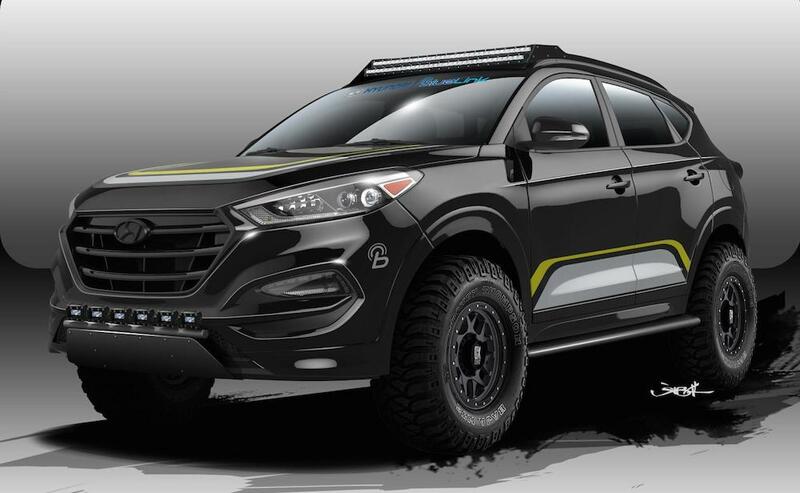 The latest offering is the Rockstar Performance Garage Tucson SUV, previewed in this official rendering. Unlike the previous Tucson they showed us a while ago, the Rockstar Performance Garage Tucson appears to be more of an off-roader than a tricked-out crossover for the roads. The vehicle is raised by over six inches over the standard model and fitted with 32 inch tires, and a fully-custom, adjustable shocks and struts system. The body has undergone extensive modification as well, starting with the wheel wells so they could accommodate those large wheels. There is also custom bumpers, roof rack and LED lights bar. Inside the cabin, there is a high output Kicker audio system 10 inch Subwoofer. We kinda like the simplicity of this car. They haven’t crammed it full of useless stuff. They have been really selective with the accessories. As for the engine, Rockstar Performance Garage Tucson is powered by Hyundai’s 1.6 liter Gamma four-cylinder engine, upgraded with new turbo piping, a high-flow Magnaflow exhaust and a new K&N intake and intercooler from Mishimoto. Performance numbers are yet to be released, but it’s tuned more for off-roading than anything else. The post SEMA Preview: Rockstar Performance Garage Tucson appeared first on Motorward. Hyundai and their tuning partner Bisimoto Engineering have already teamed up for the 2015 SEMA, revealing their first project for the Las Vegas tuning show which is due in November. The Bisimoto Hyundai Tucson is a 700-hp super SUV. Boasting a custom body kit and uprated chassis and suspension, Bisimoto Hyundai Tucson also features a highly technical engine, a 2.4-liter “Theta-II” Flex-Fuel featuring a high-boost turbocharger and an upgraded engine management system. It generates around 700 horsepower, delivered to the ground via a six-speed manual transmission. 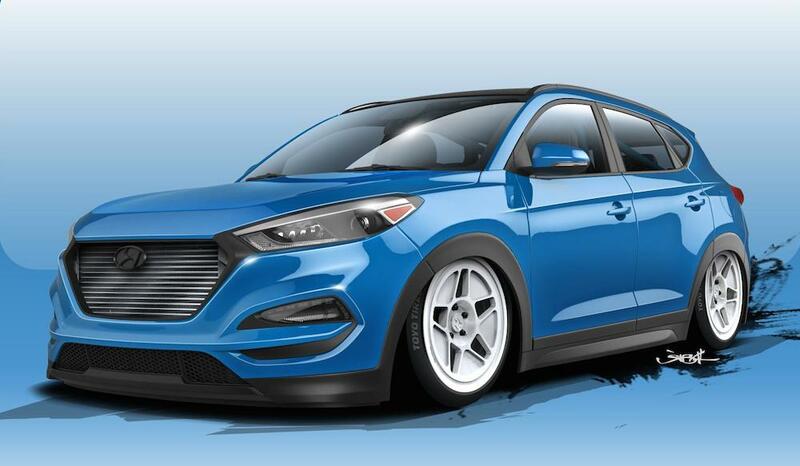 The post Bisimoto Hyundai Tucson Previewed for SEMA 2015 appeared first on Motorward. The automotive world, much like anything else these days, is thirsty for innovative new things that look refreshing and exciting. Life has become somewhat boring, you see, and we need things that challenge our imagination. We are talking about stuff like this Hyundai Tucson Coupe. Coupe SUVs are all the craze nowadays and every car maker seems to be trying to make one of these pointless, but good looking things. It all started with the BMW X6 which took Mercedes’ four-door coupe idea and jacked it up a bit. Now there are coupe SUVs at the lower ends of the market that you can buy for peanuts. 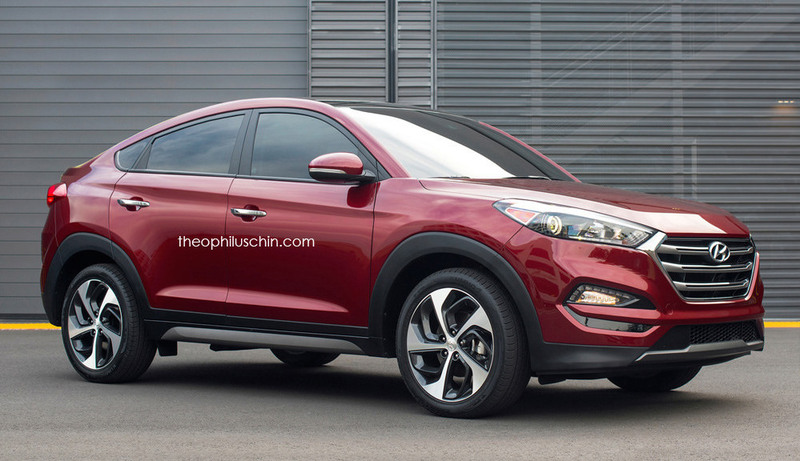 The Hyundai Tucson Coupe proposed by designer Theophilus Chin fits the bill to be one of those. 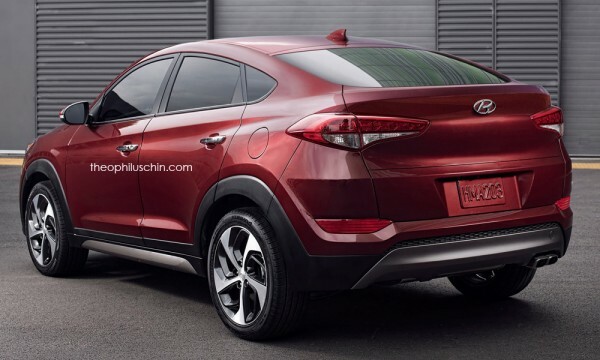 To create this imaginary SUV, Chin took the new Hyundai Tucson and merged its body with that of the BMW X4, or Mercedes GLE Coupe, which doesn’t make any difference since those cars look pretty much identical in profile. The end result is a peculiar thing that wouldn’t strike anyone as beautiful at first glance. But for some reason buyers seem to be responding well to this body style. So who are we to argue. Hyundai Tucson Coupe is one of those renderings that we could see in production in the near future. After all, it’s all about the money and this segment is pretty damn lucrative. 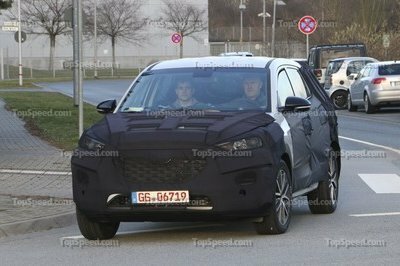 The post Rendering: Hyundai Tucson Coupe appeared first on Motorward.